This figure of Mr. Crab was happy walking around on the Parangtritis Beach. If you're lucky, you can see it. Sometimes he (the crab!) swept away by the waves. 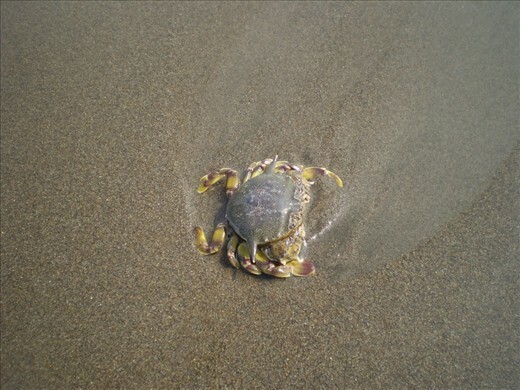 In this picture the crab was walk, but a moment later he had disappeared again, drifting. Until my third time to Parangtritis, I have not found another crab. My name is Ziyadatur Rohmah, and you can call me Ziya. I'm at last year on study psychology in Gadjah Mada University, Yogyakarta. I love photograph, but I'm still an amateur and actually, I really want to learn more about photography.